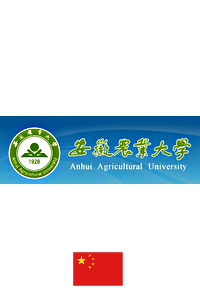 Anhui Agricultural University, with her long history, listed as one of the most important universities in Anhui Province，China. At present, AAU owns one national key discipline supported by the government, 17 provincial/ ministerial key disciplines specially supported by Anhui Provincial government of the ministries. Besides, there are 5 mobile postdoctoral research stations, 5 level-A and 32 level-B doctorial disciplines, along with 89 masters and 4 authorized disciplines to grant master degrees. AAU possesses one national key laboratory cultivation base, 28 provincial/ ministerial key laboratories and engineering technology research centers, one provincial social science research base, one innovation team supported by the Ministry of Education, 2 national academic team, 9 provincial innovation teams, as well as 6 nation-famous scientists in the field of modern agriculture, production and technology.